Wearable art by John Baldessari, modeled by Rossy de Palma. © John Baldessari. Photo by Gorka Postigo, courtesy the artist, Marian Goodman Gallery and Hauser & Wirth. Spiral cuffs by Louise Bourgeois. Photo by Gorka Postigo, courtesy of The Easton Foundation/VAGA New York. © The Easton Foundation/VAGA New York. On June 23rd, Hauser & Wirth will present its Portable Art Project in Los Angeles with an exhibition of wearable objects commissioned from a range of artists including John Baldessari, Pipilotti Rist, Paul McCarthy and Louise Bourgeois. 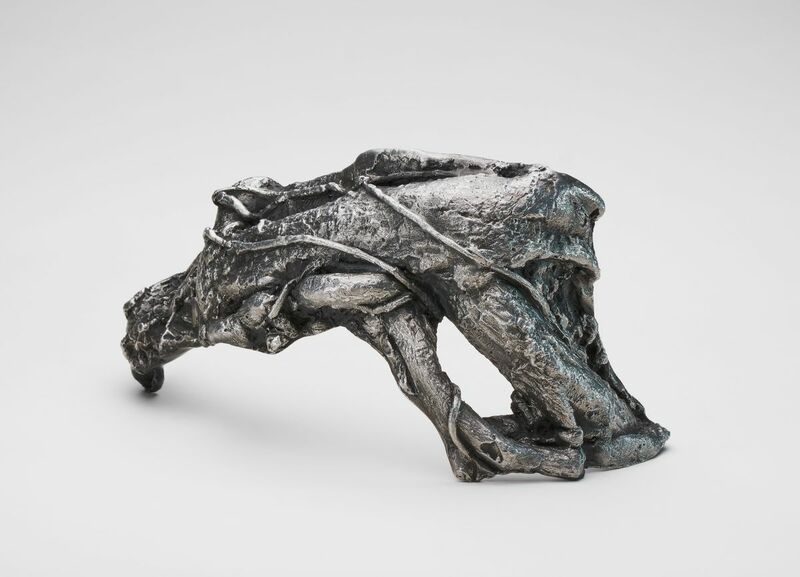 Organized by jewelry designer and art collector Celia Forner, the project includes unique pieces as well as editioned series crafted from an array of materials ranging from traditional gold and silver to enamel, aluminum, bronze and iron. 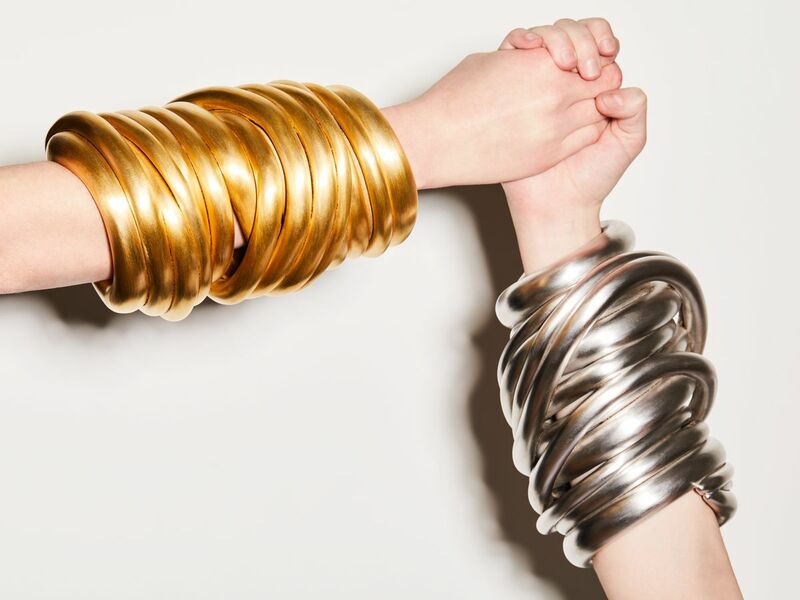 The portable art initiative began with an invitation to famed artist Louise Bourgeois, who in 2008 designed spiral-like precious metal cuffs for the project. Since then, numerous other artists have joined, creating unique and (sometimes) wearable collectibles. Shoulder piece by Cristina Iglesias. Photo by Alex Delfanne, courtesy of the artist and Hauser & Wirth.